There is nothing better than getting out into the fresh air and seeing the natural world in all its untamed glory. Best of all, huge swathes of Europe’s beautiful and varied landscape can stay in free of charge if you just head on out there and pitch up in the wilderness. One of the top things you can do for free in Europe or rather certain parts of Europe is wild camping, even though not all countries are as free and easy as others when it comes to just pitching up where you please. Find out through this article a list of things you can do for free in some European countries. 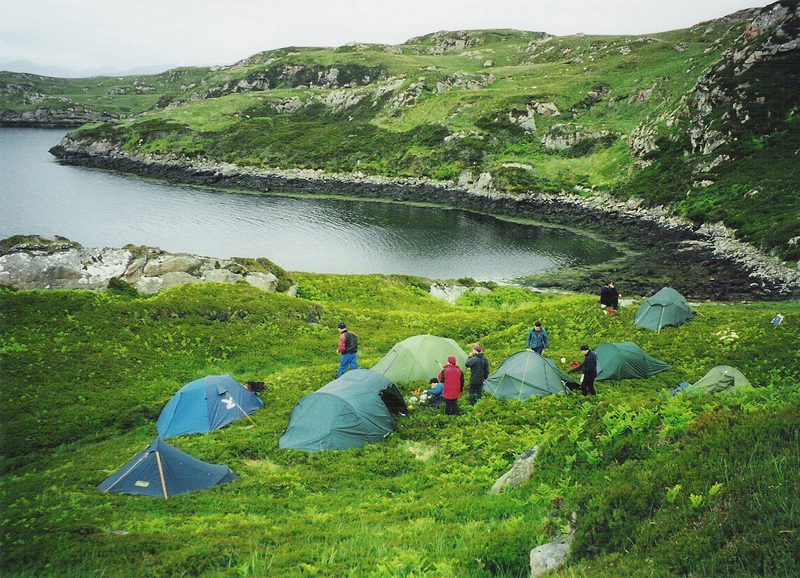 Scotland is one of the best countries in Europe for wild camping. You have the right to roam, which basically means that within reason, and as long as you don’t annoy anyone or damage anything you can pitch up wherever you please with just one or two exceptions. I have often taken advantage of this freedom to explore some of the more remote and hidden areas of this stunningly scenic country. From the highest peaks of the Highlands to the islands out West, on rugged mountains, in ancient forests, beside flowing rivers or golden sands, it is not difficult to find a remote and beautiful spot to call your home for a night or two. Scandinavian countries are better still for outdoor enthusiasts who may balk at other accommodation options in these expensive countries. I set off from Oslo with the intention of exploring as much of these Nordic countries as possible, on a very low budget. It was summer, and yet as I traveled north, there was snow still on the high peaks. Be sure to bring the right gear for the weather conditions, as I did. The weather can change from brilliant sunshine to heavy rains oh-my-goodness in a moment. I took the train line up through the Fjordlands to Bergen and spent a few days hiking in the area around the fjord, pitching up each night wherever I happened to find myself. Gradually, through a combination of train rides and hitchhiking, I made my way north around a succession of dazzling fjords, always easy finding somewhere to pitch up for the night. Whenever I stopped for food, I was shocked at the price but glad that I was not having to spend anything on my accommodation. Eventually, I made my way back to Oslo and thence to Stockholm, Sweden. Sweden is also a shockingly expensive country, but all of its varied and immense wilderness can be explored and stayed in for free. Again, I set about working my way through the backcountry. I traveled for days through huge forests, and over stunning mountains, all of which I could enjoy free of charge. Finland is also a paradise for wild campers. I made my way round the gulf of Bothnia, watching the cruise ships come and go, charging a fortune to see this part of the world that I was seeing for free by trailing around with my tent, taking local buses where need be, but mostly walking or taking rides with locals. Eventually, I found my way to Helsinki, proud of the fact that I had not spent a single penny on accommodation for my entire journey. I had stayed in Scandinavia for free.Thus, Finland is highly recommended for those who are eager to experience the concept of ” Things You Can Do for Free in Europe “.